A shingle-style house featuring Queen Anne details, most prominently the turret, this 1891 home was remodeled in 1909 by William T. Bray and Carl Nystrom, who added porches and Doric columns. 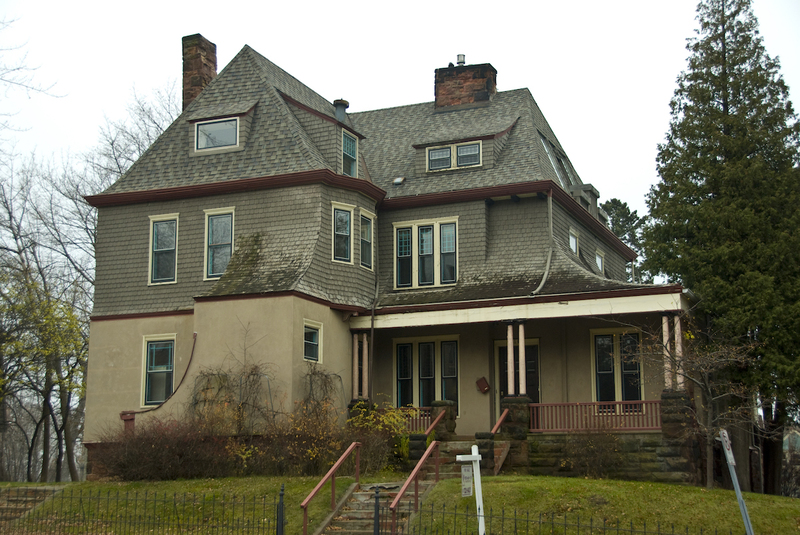 Not much is known of the McCordic family (Alfred was an attorney), who lived here very briefly. From 1909 to 1917 the residence was home to the son of Andreas Miller and his family. Mr. Miller provided funds for Duluth’s first public hospital, known today as Miller-Dwan.